One of the best things about travelling around Europe with a dog is that it’s usually so easy. Generally you don’t require any paperwork for travelling from country to country and most transport options allow dogs. However, this isn’t the case if you’re travelling from the UK to Europe with a dog, or you’re trying to travel to the UK with a dog. For starters, dogs aren’t allowed on the otherwise-so-convenient Eurostar, almost the only train service in Europe that doesn’t allow any size pet dogs. 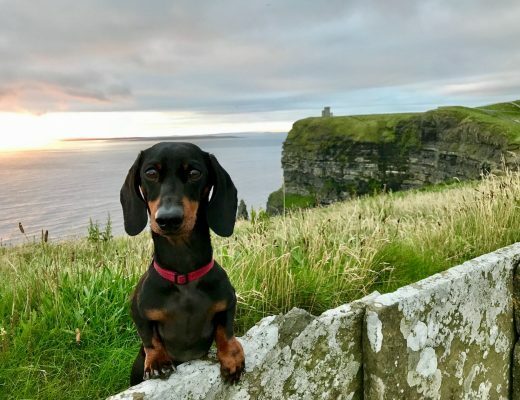 Additionally, pet dogs are also not allowed to fly into the UK in plane cabins, only the cargo hold, and there are limited options when leaving the UK. So, how do you take your dog from the UK to continenal Europe, or vice versa? Can You Take a Dog on the Eurostar? Note: This post contains affiliate links, which means I may receive commission if you make a purchase using the links. 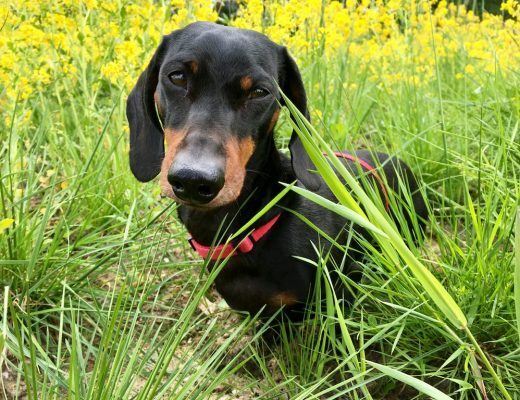 It would be wonderful if you could quickly and easily head from England to France, Belgium or the Netherlands with your pet dog on the Eurostar! Unfortunately though, no pet dogs are allowed on the Eurostar. The only dogs that are allowed on the Eurostar are assistance dogs, and even then they need to be booked in advance. It would be terrific if this changed to allow pets on the Eurostar, but there are currently no plans for this to change. It’s especially perplexing given that dogs are allowed on trains in both the UK (for free!) and in France. Generally, most of the ferries that travel between the UK and continental Europe only allow passengers with a vehicle to bring along dogs. This is because most of the time pets must stay in the vehicle, or they do not have facilities for the boarding of foot passengers with pets. There are only a handful of exceptions, with the following four ferries allowing foot passengers to take a dog. Options range from kennels to dog-friendly cabins. This is the only ferry between England and France that allows foot passengers to bring their dog, with a set charge of £18. The journey is about 4 hours (longer than the shorter Dover to Dunkirk or Calais routes) and dogs are kept in kennels on the car deck for the entire journey. 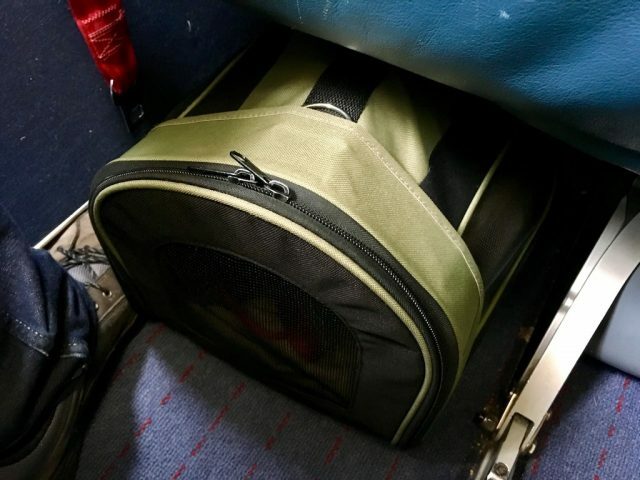 Pets must be carried on board in a pet carrier. This longer crossing takes about 8 hours, but is quite popular as there are two kennel rooms for dogs that remain accessible during the voyage, plus a TV channel showing CCTV footage from the kennels. (Car passengers also have the option of leaving dogs in their car.) The set charge for dogs using the kennels is £17. Read my review of travelling between London and Amsterdam with my dog on this ferry, on the overnight sailing. 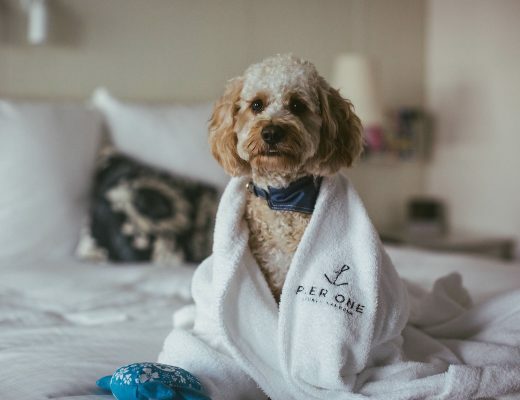 It is possible to book online; simply add your pet to your booking after selecting a cabin, on the same step where you add meals. This ferry service is unique for having recently added dog-friendly cabins as well as kennels, with both available to foot passengers as well as car passengers. 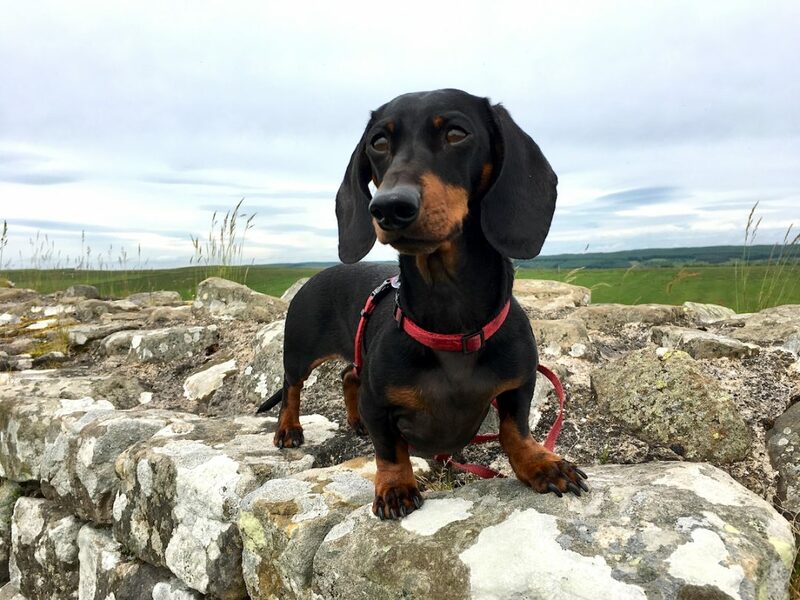 It’s also a convenient option for dog-owners travelling from northern England or Scotland, although the journey time is longer – nearly 16 hours. 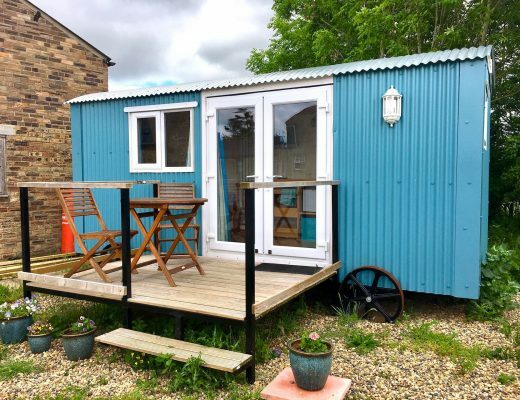 There is a charge of £25 per pet in a cabin or £30 per pet in a kennel. Foot passengers travelling with a pet need to book by calling the contact centre. Read this review by someone else taking the ferry. Click here to find out more about the DFDS pet-friendly cabins, or read more about the rules for pets travelling on DFDS Seaways Ferries. This ferry service also connects northern England with the Netherlands, but this time the ports of Hull and Rotterdam. The journey time is about 11 hours, with the service generally operating overnight. All pets on the service must travel in the air-conditioned kennels, with various size kennels available, and a set fee of £17 charged. 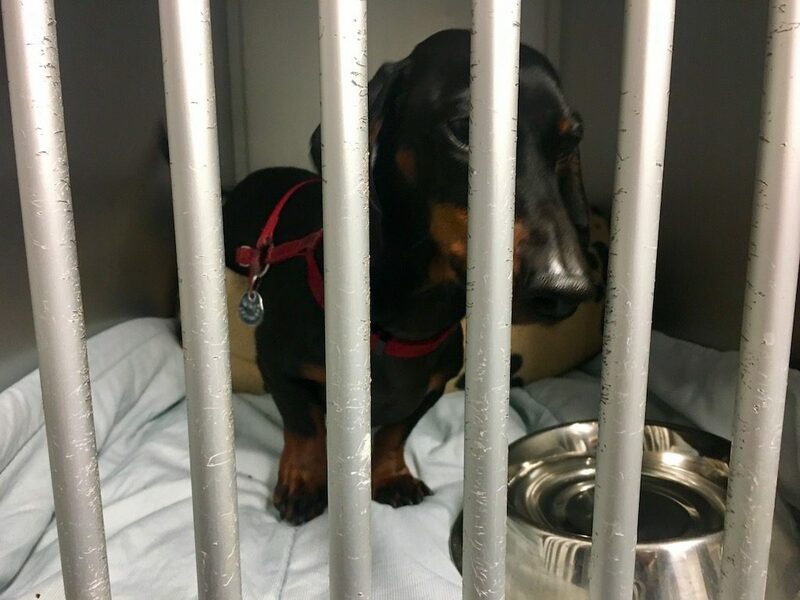 It’s stated that the staff members check on the kennels every 2 hours; if you want to check up on your pet, you’ll need to ask a staff member. It’s quickly and easy to add a pet to an online booking. While pets flying into the UK must travel as cargo only, the rules are more relaxed for flying with pets out of the UK. Dogs are allowed to travel in the cabin or as checked luggage, however many airlines still do not permit this. Check the pet policy of the airline that you intend to use. I recommend phoning up the airline you are considering using to find out if this is an option, plus noting down the details of who you spoke to and when if you do get the okay. Note that none of the UK airlines allow pets to fly in the cabin at all. Let me know if you find out about any other airlines that allow this! Unfortunately, no dogs are allowed to travel to the UK in the plane cabin, no matter how small, with the exception of assistance dogs. Dogs aren’t even allowed to travel into the UK on a plane as checked luggage, only as cargo. 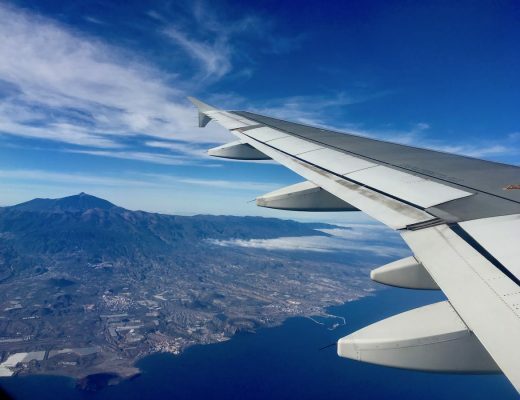 Click here for the list of approved airlines, including the approved destination airports, or alternatively check the pet policy of the airline you intend to use, as many airlines that fly pets elsewhere in Europe don’t offer this option. Depending on the airline, you may be required to use an animal transport company, meaning it can be quite expensive. I’ve also read a report that collecting your pet from the quarantine office is time consuming and expensive (although I haven’t investigated fully). Is it any wonder that most people avoid flying to the UK with their pet? 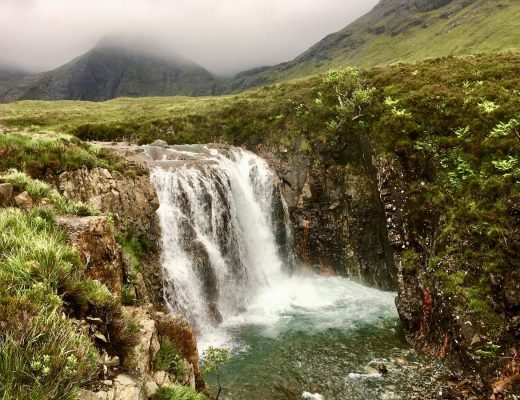 The other alternative if you’re travelling between the UK and continental Europe without a car, and are struggling with the limited transport options available, is to utilise a taxi service. There are multiple providers that will basically take you on a taxi ride, along with your dog in the vehicle, but a slightly different taxi ride as you’ll be taking the Eurotunnel with the taxi. Generally you just take the taxi between Folkestone Central station and either Calais Ville or Calais Fréthun station, utilising trains on either end. Expect to be charged about £100 in addition to the Eurotunnel cost. There may also be the option to travel a further distance on each end, such as all the way from London, for a higher cost. It’s a lot easier to travel in between England and continental Europe if you have a car! Probably the most convenient option is to take the Eurotunnel car shuttle train. Your dog stays in your car along with you, and the actual crossing only takes 35 minutes. There is an additional charge of £19 per pet, in each direction. Keep in mind that when travelling from Calais (France), you will need to arrive at least 45 minutes before your departure and report firstly to the Pet Reception Centre, before checking in. Here your dog’s worming treatment and other records will be checked. This isn’t required when departing the UK, but you need to specify you have a pet when checking in. See further details on the Eurotunnel website about transporting dogs via the Eurotunnel. Note that the Eurotunnel doesn’t take foot passengers, with or without a dog. Alternatively, the majority of ferries travelling between England and continental Europe allow passengers travelling with a car to also transport pets. Click here for the full list of approved ferries. 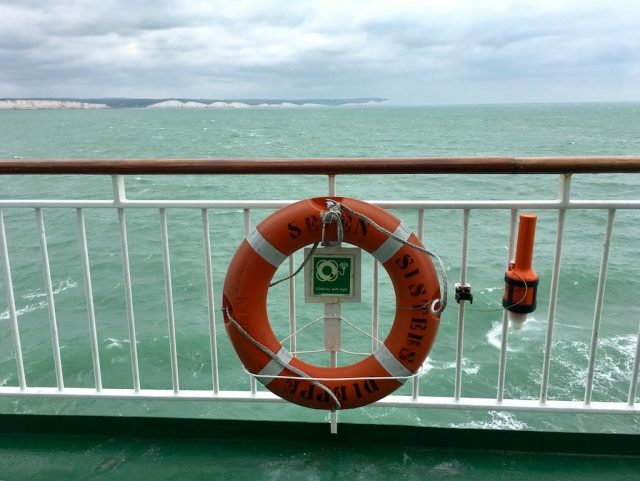 On most ferries, your dog (or other pets) will stay in your car for the voyage, although some ferries do offer kennel options or even pet-friendly cabins (including Brittany Ferry to St Malo, Bilbao and Santander, and DFDS Seaways between Newcastle and Amsterdam). 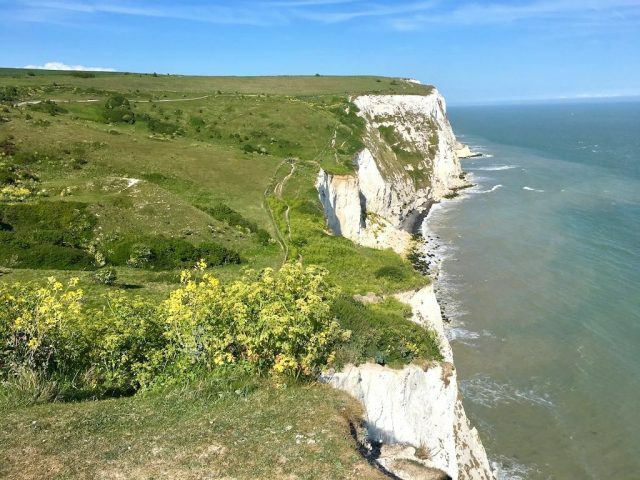 If your dog is staying in your car, it’s best to choose one of the quicker ferry options, such as between Dover and Calais, particularly if travelling in the warmer months. 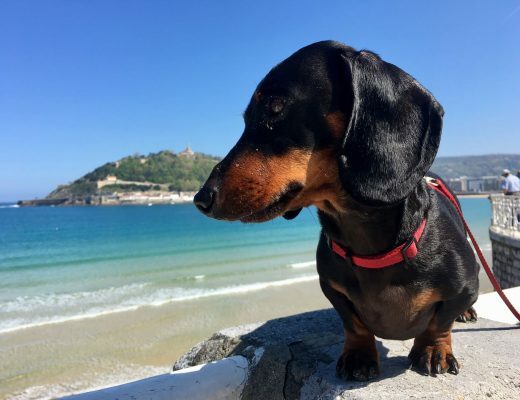 Most ferries charge a fee per pet, usually under £20, except on the longer voyages to and from Spain, although this varies between the different companies. Check out the websites of the individual ferry companies for more information. 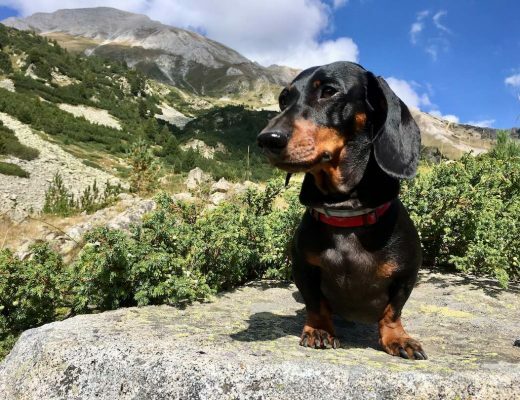 The current rule for pets travelling from the UK to the rest of the EU is that the dog or cat needs to be microchipped, be vaccinated for rabies at least 21 days before your day of travel and have a pet passport. However, currently when heading from the UK across to continental Europe, generally no paperwork at all for your pet is checked. This occurred to me when taking a ferry to the Netherlands, and is usually the case for most ferries and when taking the Eurotunnel. But there still is a chance it will be checked, most likely if you are flying to a specific destination such as Malta, so always be prepared. In particular, if your dog or cat is only being vaccinated for the first time for rabies, 21 days must elapse before entering the UK. Also all dogs (except for those entering directly from Finland, Ireland, Malta or Norway) will need to be administered a worming treatment by a vet between 24 hours and 5 days of entry into the UK, with this carefully checked down to the hour. 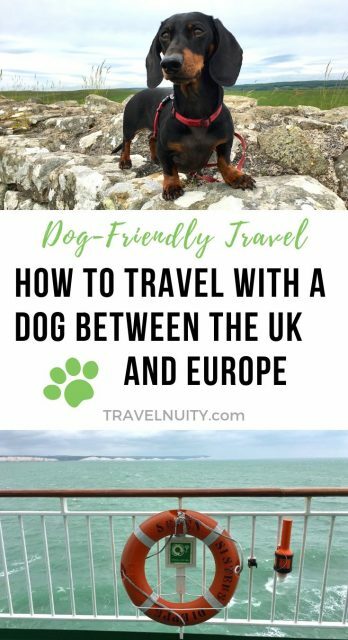 For more details on the paperwork required, read my post about travelling in the UK with a dog. Thank you for this! What an amazing resource. My partner and I are looking into working holiday visas and the UK was our first choice since we have a common language. But we got discouraged when we thought we wouldn’t be able to bring our dog. So thank you so much for all of this info! Super helpful! I’ve had both experiences with catching taxis in London – being refused or accepted (although I guess it helped that my dog is small and was in a carrier bag). It’s helpful if you can advise in advance that you have a dog. With crossing the channel in a taxi, it’s a specific service offered by these companies that you book in advance, advising that you have a dog. I’m sure they wouldn’t refuse if it’s all been properly booked! Thanks for sharing the informative post! 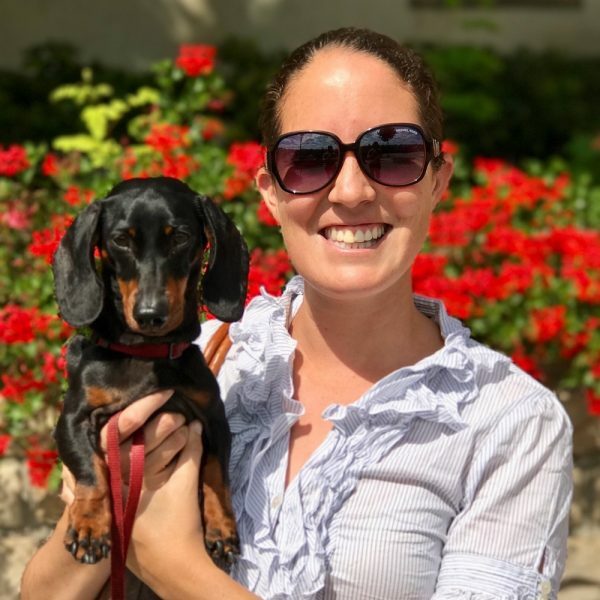 I’ve recently written about this on my post about France (https://travelnuity.com/dog-friendly-france/), but will add further details to other posts as I read up further. Struggling to get our toy poodle from Croatia/Italy back to the UK. It sure is tricky returning pets to the UK, unless you’re happy to have them travel as cargo (and pay the cost)! Probably my favourite recommendation (and that of many people I’ve spoken to) is flying to Amsterdam and then taking the Stenaline ferry to Harwich or the DFDS ferry to Newcastle. Alternatively, if you would prefer to travel by train, I recommend checking out Man in Seat 61 for the options.